Getting addicted to cardio exercise is not a new thing to many people. We have seen those who are used to running around the estate every day or hit the treadmill tirelessly. Experts say that it starts small with a dream to keep fit and escalates to an addiction. Surprisingly, some athletes are victims of chronic cardio, especially when using fitness gear like anavar, which gives them an extra boost. There has been a concern whether chronic cardio is effective in giving results or it is a waste of time. Some people are uncertain about this habit that was introduced by Mark Sisson, who is a former distance runner and a fitness blogger. 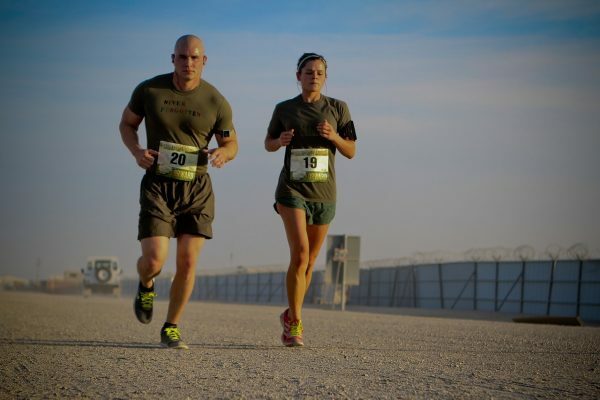 His goal has always been to give people the spirit to push that extra mile while doing the endurance training. Today chronic cardio has been in the minds of many people. Pushing your body through aerobic training rather than the anaerobic system is now a common thing for many people. This habit forces the body to use the oxygen from the blood during such an activity. And this is what we call the endurance training. A great example is cycling a real bicycle or those ones found in the gym for several minutes continuously. It is popular to see people do it along the roads every day in the morning or evening. Long distance running or jogging for several minutes is also another one. In fact, most people prefer this as it does not need any facilities. Be on the road and you are good to go. Those who are addicted to swimming are also in this category. We all know that cardio exercises are good for the heart. So, how does the cardio exercise affect the heart and the body at large? The heart responds to various triggers that are sent by different functionalities of the body. Experts explain that chronic cardio means that your heart is pushed too far for a prolonged period on a regular basis. And this will start bringing health complications. During exercises of any form, the targeted muscles usually expand and get fatigued. At this state, a person will know they have done it. However, the heart muscles will not give this sign as much as it will undergo expansion and fatigue. At the end of the day, it may lead to Atrial Fibrillation, which means that you will have an irregular and fast heartbeat. Endurance training or chronic cardio needs to be controlled to yield the best results rather than ending in hospital. Fitness researchers recommend the use of interval training. As a matter of fact, this is how every person whether you are a runner or not should go about this. Make a schedule that includes aerobic training like running and anaerobic training like weightlifting. Such kind of a balance will give the heart muscles an opportunity to rest a bit. With these highlights, it is evident that chronic cardio is not good at all. You will just be wasting time and rarely achieve your fitness dreams. By now, you already know the best way forward.